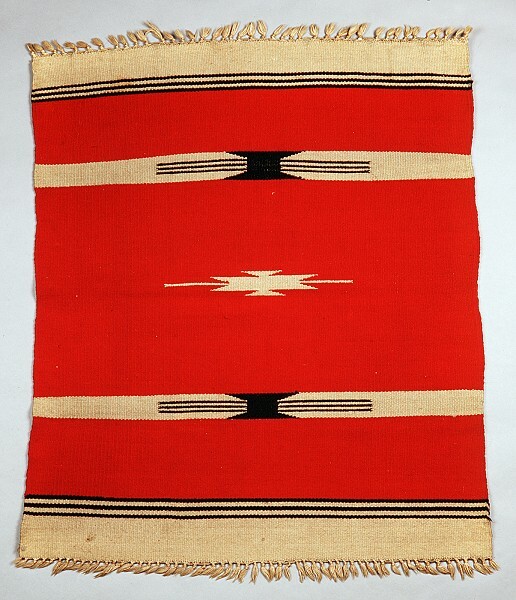 This small blanket was most likely a curio, a decorative object made for sale to tourists. Because of its small size, tourists could easily carry it on their travels and display it in different ways in their homes. 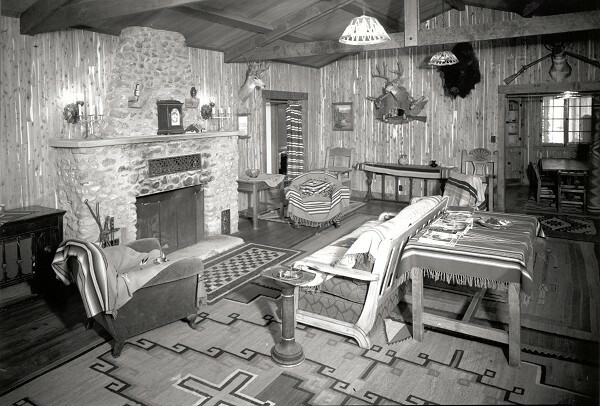 This photograph taken around 1935 in New Mexico shows a living room decorated with blankets of several sizes used as furniture and floor coverings, table runners, and curtains.